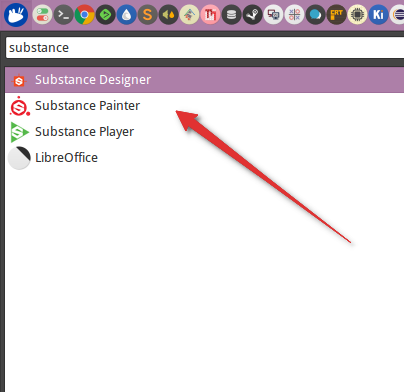 This guide covers how to install the Substance applications on Ubuntu 16.04 or similar distros (such as Debian or Mint) manually, without using alien (check out this forum post on how to do this via alien). We basically just need to extract the RPM contents, copy it to /opt, then run the postinstall scripts to setup icons, links, and file associations. At the end, we'll also look at setting up the Python API. 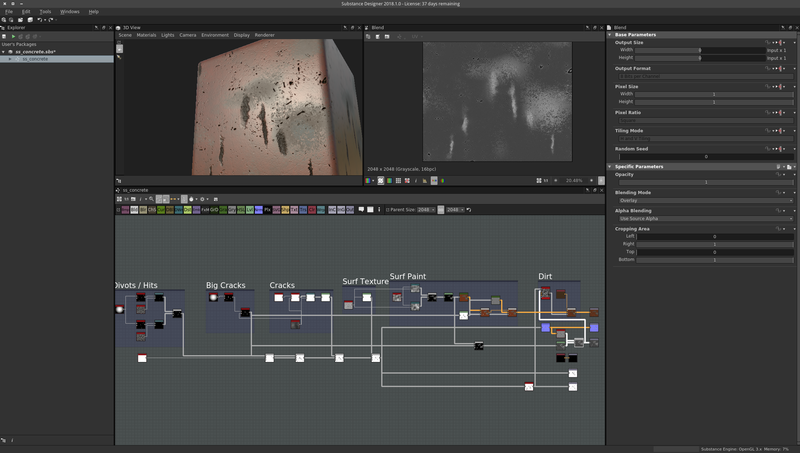 If you have a Substance subscription plan, you can download the Automation Toolkit from the Licenses page after logging into Allegorithmic's website. If no errors were returned, then they were successful. The application launchers should now show up in your Applications Menu! 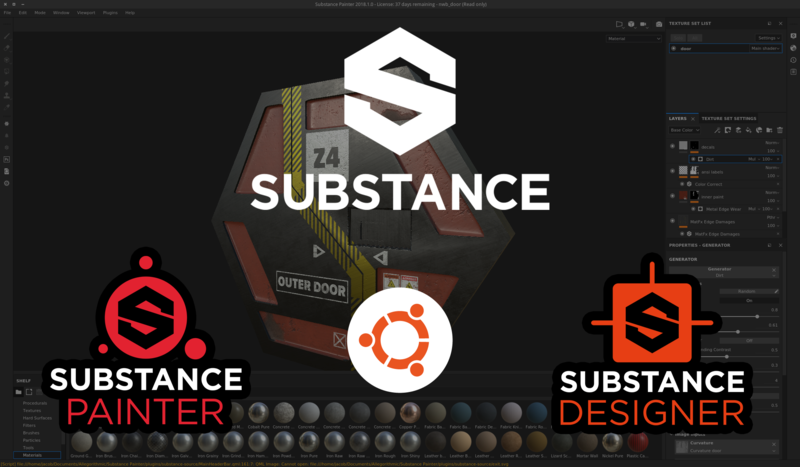 You can also launch the main applications via substancedesigner, substancepainter, or substanceplayer from a terminal window or run dialog. Then find the "Resize Window" plugin and click on it. On the first tab, click the key binding for "Initialize Window Resize", then either change it to something else, or disable it. This key is not required to be bound for window resizing to work. 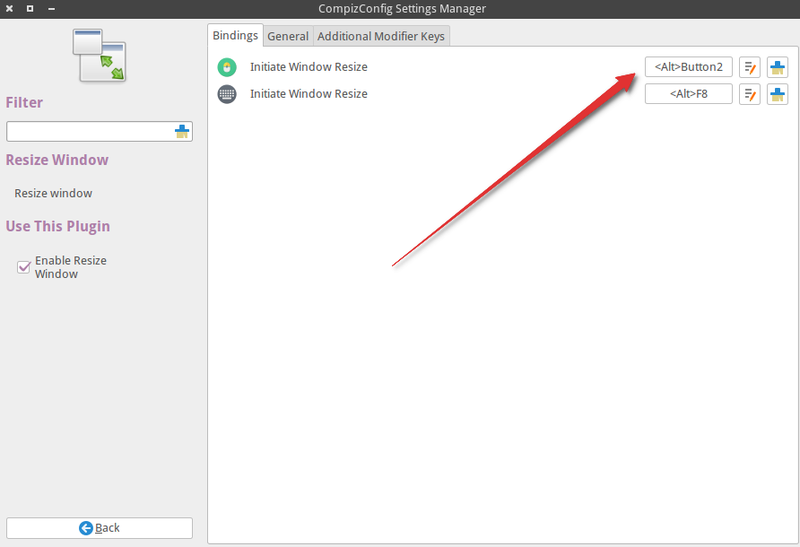 Once set, click "Back", then close CCSM to save the settings. In this case, the file does exist, but it's named Exit.svg. Since most filesystems on Linux/UNIX are case-sensitive, but NTFS and HFS+ are not (HFS+ can be, but is usually configured to be case-insensitive), the application is unable to locate the file. 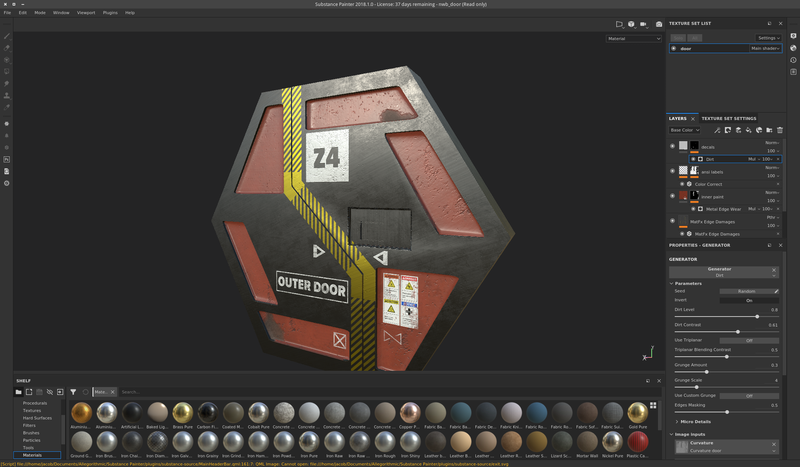 Below are a couple of screenshots of Substance Painter and Substance Designer running on Ubuntu 16.04— working great! My machine has an nVidia GTX 960, running the proprietary NVIDIA 381.22 drivers. These applications can use a ton of VRAM (dependent upon your output texture size), so the more graphics memory you have, the better! The toolkit should already be installed in /opt/Allegorithmic/Substance_Automation_Toolkit if you followed the previous installation procedure. 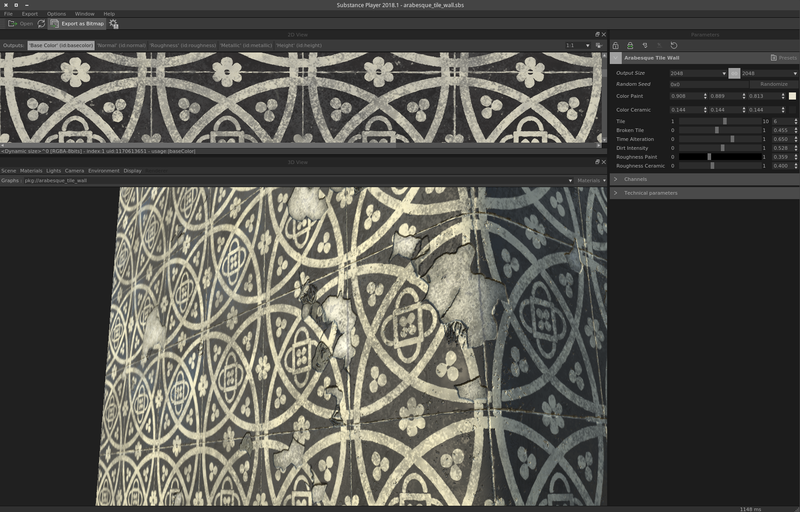 If everything went smoothly, you should be able to run one of the included sample scripts, located in /opt/Allegorithmic/Substance_Automation_Toolkit/samples. Let's test out the variations.py script, which takes an example stone texture, creates different variations, then bakes out all of the textures as PNG images. That's it! Now you can start writing scripts that generate, manipulate, or bake out substances! Try using ipython to interactively test and explore the API.